What’s Chicago’s Price to Ignore Gun Trafficking? The last thing Chicago needs is a new source of illegal guns. Last year 4,368 people were shot in the city of Chicago and with 553 shot so far this year, the indication is the total for 2017 will be higher. Police continue to look for gang members that have robbed train cars in the Norfolk Southern rail yard in Chicago’s violent crime-ridden Englewood district. The security at Norfolk Southern rail yard is so bad that gangs in that area of Chicago have come to view it as their own shopping mall. 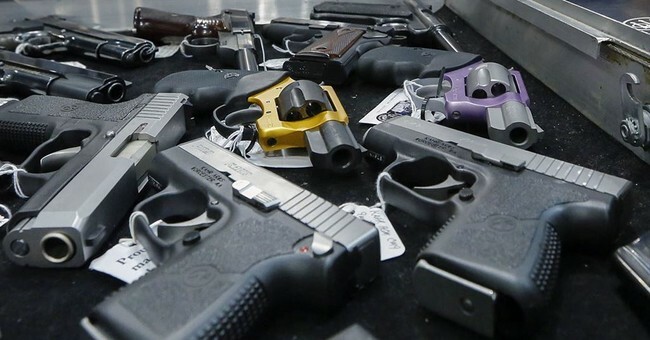 According to a Chicago Sun Times article, in 2015, a gang entered the yard undoubtedly looking for the typical quick cash items often found in rail cars such as toys or tennis shoes but when they cut the lock and opened the door they were must have been shocked to find the car was full of firearms. It was pure, dumb luck they stumbled onto the one car among thousands that had a shipment of 111 firearms from Sturm, Ruger & Company destined for Spokane, Washington. The .45-caliber revolvers and other firearms didn’t take long to find their way onto the street. To date, only 16 of the Rugers have turned up. Similar heists also occurred in 2014 and last September. The story might end there but it turns out there’s much more to it. While Chicago’s Mayor Rahm Emanuel and the city aldermen keep harping on what they refer to as Indiana’s and Illinois’ lax gun laws, yet they don’t seem to be concerned about the train yard’s lack of security. Recently retired BATF agent Thomas Ahern called the thefts “a serious (security) breakdown that needs to be addressed.” At Englewood district’s Norfolk Southern rail yard security is a broken down fence. The problem is Norfolk Southern executives know that any given theft is peanuts to the heavily insured railroad which, when weighed against security upgrades costing millions of dollars, isn’t justifiable economically. While the human carnage aspect seems to not bother the railroad you would think the City of Chicago would be threatening to shut the yard down but it’s quite the contrary. According to the Sun Times article, Norfolk Southern spokeswoman Susan Terpay said it was “mutually agreed” with aldermen to focus on investigations rather than disclosing “specific [security] techniques” that could aid thieves. What she didn’t mention is the cozy relationship between Norfolk Southern and the City of Chicago. A 2013 article in dnainfo.com detail the railroad’s negotiation of a 10-year, $200 million project to add 84 acres to the rail yard bringing it up to a total of 234 acres. The expansion includes approximately 400 jobs with about a $69,000 salary to the existing 500 at that site. The city agreed to a $1.1 million deal for the acquisition of existing homes in the proposed footprint and estimated the overall economic impact on the area at $146 million. Given that the expansion project extends out another six years one has to wonder if the city just doesn’t want to rock the boat. A request for an interview made with the Chicago area Norfolk Southern yard was denied and a request to talk with Norfolk Southern’s Director of Corporate Communications in Atlanta was not returned.